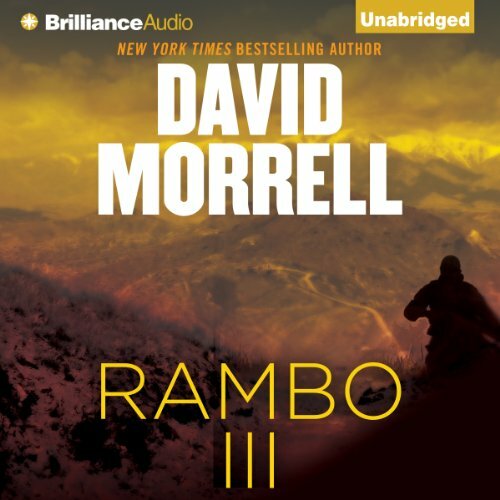 ©1988 David Morrell (P)2013 Brilliance Audio, Inc.
What made the experience of listening to Rambo III the most enjoyable? Rambo sounds just like he does in the movie, which I saw before I purchased and listened to the book. If you liked the film, you'll love this book as well. The only disappointment for me was the ending, otherwise a great and enjoyable listen. What other book might you compare Rambo III to and why? The other RAMBO books, apart from the first one, which was written in parts that distracted from the enjoyment of the first in the series. Mostly the realistic voices which Eric Dove did his best to make sound just like in the movies of the books which I saw first before listening to the books. An action packed story with a fantastic actor - Sylvestor Stallone who in my opinion, was absolutely perfect for the part. If you liked the film(s), you'll love the books. Highly recommended.